Mondays and Wednesdays, 4:45 to 6 p.m.
Full-course kosher dinners for those 60 and older. Reservations taken until 9:30 a.m. the day of the meal. Suggested donation: $5 per person. Guests under 60 pay $9. There will be a guided highlights tour of the art museum at 10:30 a.m., followed by lunch at 12:30 p.m. at the Yarde Tavern in South Hadley, Mass. Lunch choices are tropical salad with grilled chicken or Caesar salad with salmon. Depart from Albany JCC at 8:15 a.m., and return at approximately 4 p.m. The cost is $80 for members and $87 for non members. A prepaid, nonrefundable reservation is required by Aug. 30 or before the trip fills. Wednesday, Aug. 17, 3 to 4:30 p.m. This month’s book is “A Shout in the Sunrise” by Mara Cohen Ioaniddes. This story takes place in 15th century Greece following the displacement of Spanish Jews after the Inquisition. It takes a look at the assimilation of two disparate Jewish communities — Spanish and Greek, Sephardic vs. Romaniote. The reviewer is retired educator Faye Silton. Wednesday, Sept. 14, 3 to 4:30 p.m. Classes will be held Sept. 12, 19 and 26; Oct. 10 and 31; and Nov. 7 and 21. The instructor is Colleen Connolly. The cost is $65 for JCC members and $82 for non members. Request a flyer with the supplies list. Thursday, Sept. 22, 1:30 to 2:45 p.m.
Join Sylvia Mims as she performs “Where Lovers Live: A Musical Tapestry of Love Standards,” with piano accompaniment/musical direction by Donn Trenner. Light refreshments will be served following the concert. Tickets are $12 in advance at $15 at the door. The show takes place in the Albany JCC auditorium. Mondays, 1:30 to 2:30 p.m.; Wednesdays, 10 to 11 a.m. Healthy Bones for Life is a peer-led group exercise. The suggested donation is $2.25 per class. Thursdays, 10:15 to 10:45 a.m.
A fun and gentle exercise class with instructor Richard Feldman. There is a $2.25 suggested donation at the door per session. Do you like to sing? 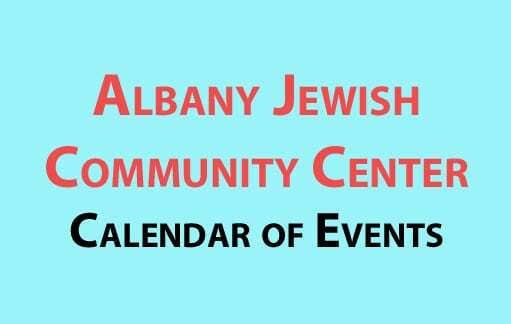 Join the Albany Jewish Community Center’s Senior Chorale. 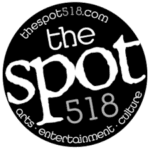 Rehearsals and performances on Thursdays from 1 to 3 p.m.